Many fishermen have described the Litza as simply the best salmon river in the world. Characterized by its massive boulders, fast runs, gorgeous pools – this challenging river, may provide an explanation to the extraordinary size and power of the Litza Salmon. With just 9km of Salmon water between the impassable Litza Falls and the sea – these are not your typical gravel-bottomed spawning grounds. It is theorized that the big broad tails, typical of Litza Salmon, holds the genetic recipe to their success, being a prerequisite to gouge out a spawning bed amidst the stones. Whatever the reason may be, the average size of Litza Salmon is without question. The river is as beautiful as it is majestic, running a deep path through the tundra, really only opening out briefly at Snowbank Pool before dropping away into final gorge, Military Pool and opening up to the Barents Sea. For many the highlight of the week is the Litza Tent camp where all guests (weather depending) will have the opportunity to spend a night in comfort on the river. Many a huge salmon have been taken in the Tent pool area including a 47.5 lb Salmon that was landed less than 100 yards from the camp! 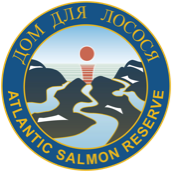 Along with its sister river the Kharlovka, these are two of the world’s most prolific rivers for big Atlantic salmon. The combination of awesome big fish and the manageable size of the rivers is a great asset when compared to other Kola destinations. Both wild and challenging they can also provide some of the biggest silver rewards anywhere. Largest 3 salmon in the last 10 years 47.5, 47, 46 pounds.